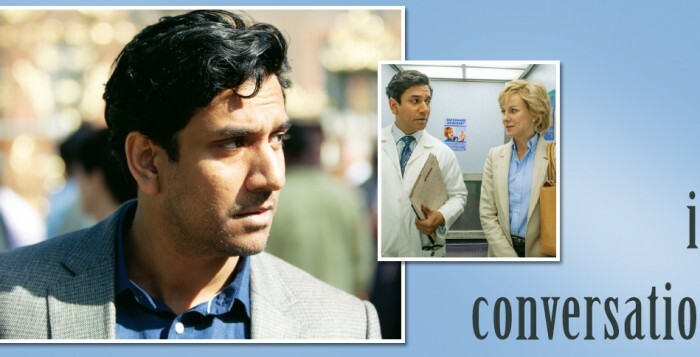 a�?a�?I am very happy with the film and fine with how people have taken it,a�?says Naveen Andrews, the star of the cult television show Lost, as he talks about his latest film, Diana.A� He plays the role of Hasnat Khan, the London-based Pakistani heart surgeon who was Lady Dianaa��s on-off lover for two years.A� The biopic is based on a 2001 book, Diana: Her Last Love, authored by Kate Snell. Despite the failure of the film, critics were generous with the actor. a�?Andrews makes a good fist of the dedicated surgeon drawn into her troubled emotional weba�? quotes a London-based film reviewer. How well do you know Hasnat Khan? I read Dr Khana��s statement to the three-year police inquiry into Dianaa��s death and Snella��s book (with which Khan was also directly involved) and I viewed the small amount of footage available. I also met people who worked with him at that time of his life. Understanding the relationship between Diana and Khan. It was an intimate love story, which was very rare. It reminded me of the David Lean film Brief Encounter for its quietness and intimacy. There were some intense scenes and as I read the script I felt like I understood him more and I knew exactly what I had to do. Hasnat Khan has often been portrayed as a serious man. Was itA� challenging to relive him on screen? Well, it was a bit challenging to get into the skin of the character, which is intense and serious. Do you think Naomi Watts was able to do justice to Dianaa��s character? I think she played her part with brilliance and elegance and I cana��t think of anyone else who could do it better than her. Three most important elements to make a biopic work. Story, facts and a good script. I am working on the TV series Once Upon a Time in Wonderland and also on a TV movie called Reckless. Do you follow Indian cinema? Well I havena��t had the time and chance to follow it closely but I have heard many great things about Indian cinema. I would love to do an Indian movie someday. One role that is close to your heart? All the roles I have played have been extremely memorable and close to me but if I had to pick one role it would be the character in Lost. It was a great experience for me to be a part of the series. Do you think you have evolved as an actor? I guess I have evolved a lot as an actor, considering I am experimenting with so many genres.